ROCKLAND — Middle and high school music students received a special concert from members of the South Shore Jazz Collective last month as part of their studies. On Monday, Nov. 19, the Jazz Collective performed three shows in the lecture hall for middle school band and chorus students, as well as high school general music students, faculty and staff. The members of the Jazz Collective who visited Rockland students included Kenny Hadley on drums, Peter Kontrimis on bass and Mark White on guitar. Superintendent Dr. Alan Cron, on trombone, and Music Director John Piazza Jr., on trumpet, also made a guest appearance in the shows. While Rockland has put on shows for students before, the jazz concert marked the first time middle school students got to experience a live band performance, and for many, the first time they’d been exposed to American jazz. In an effort to enhance outside classroom learning, Rockland Public Schools worked with the Rockland Cultural Council to secure a grant to bring this one of a kind show to students. 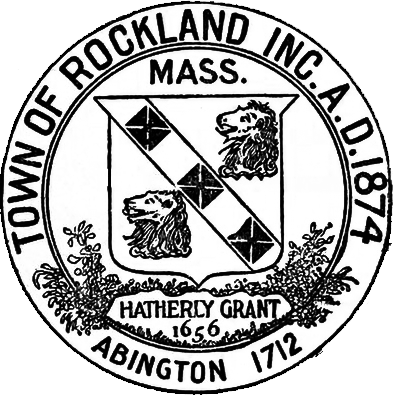 The RCC receives funding from the Massachusetts Cultural Council, which distributes money to communities through the Local Cultural Council Program to support the arts. Prior to each jazz selection, Piazza Jr. spoke to students about the history of jazz and the unique improvisational aspect of the tunes they would be hearing. “It was great to see that the things we learn in class are things real musicians always use,” said senior Jessica Dunphy. ROCKLAND — Superintendent Alan Cron is pleased to announce that Rockland’s middle and high school band students will participate in a full day jazz clinic, followed by a concert featuring professional jazz musicians next month. On Oct. 6, students in sixth through 12th grade will spend the day with instructors from All Ears Jazz. The clinic will feature a step-by-step, immersive learning experience designed to help young musicians express themselves through improvisational music. That evening, students will put on a brief demonstration for members of the community ahead of a performance by the South Shore Jazz Collective, which includes some of the finest musicians from the region and counts Superintendent Cron and Director of Music John Piazza Jr. among its ranks. The collective also includes well-known local drummer and big band leader Kenny Hadley, who has shared stages with some of the most legendary names in music, including Dizzy Gillespie, Van Morrison and the Count Basie Orchestra. The day’s events were made possible by a contribution from the Rockland Education Foundation. The community concert begins at 7 p.m. in the Rockland High School Auditorium with a performance by the middle and high school bands, followed by the South Shore Jazz Collective at 7:30 p.m. The concert is free for students, though community donations benefiting Rockland’s music program will be accepted at the door.